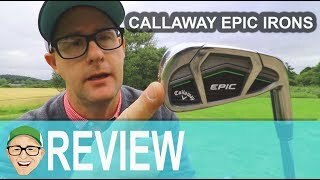 Callaway Golf Epic Irons – Unbound design yields the ultra-premium, groundbreaking innovation of Callaway Epic Irons. 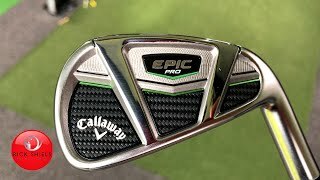 Reducing the thickness of the industry-leading 360 Face Cup at its thinnest point affords even more face flexing at impact, while the Exo-Cage head construction allows the face to more efficiently take on more impact load, resulting in a new level of ball speed and distance. 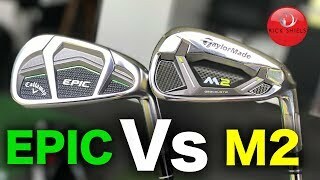 MIM’ed tungsten in each head’s Internal Standing Wave uniquely optimizes weighting and CG location, meaning the long irons launch easy and carry long, and the short irons are the epitome of control.